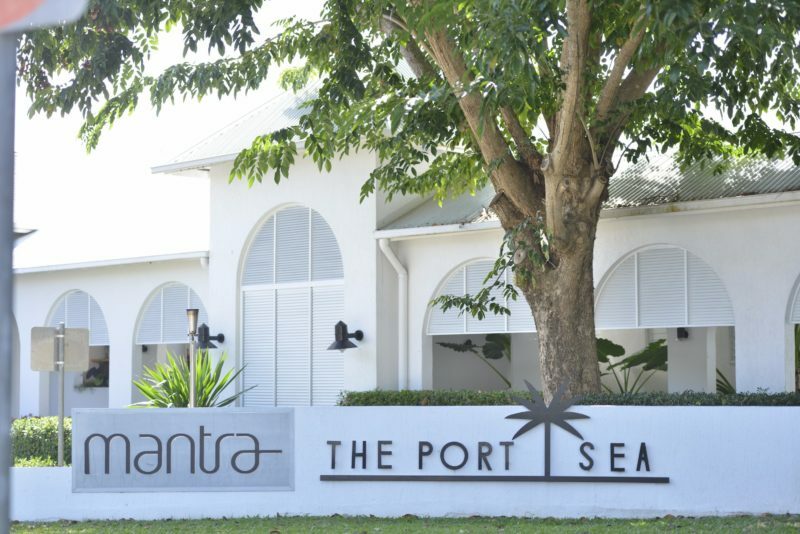 Just 100 metres from the beach, and a 15 minute walk to the centre of Port Douglas village, Mantra PortSea offers comfort and convenience, spacious accommodation and a range of activities to keep the entire family entertained. 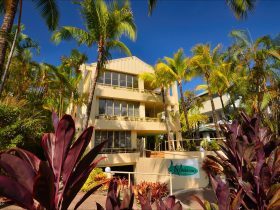 If you’re planning a romantic north Queensland getaway either a Hotel Room or One Bedroom Studio is the ideal choice. They feature air-conditioning, tea and coffee facilities, and internet access, Studios also have the added benefit of a kitchenette and balcony. 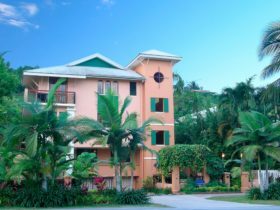 If you’re travelling with up to five people, a Two Bedroom Apartment or Dual Key Studio will see you well accommodated. 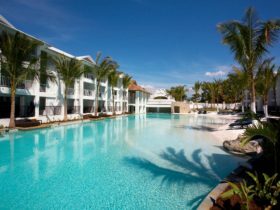 For those who like to stay in shape while on holiday, there is a fitness centre, tennis court and lap pool. 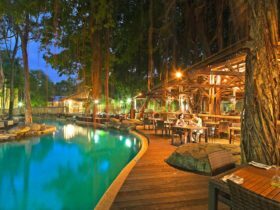 For the more leisurely inclined, be sure to make the most of the lagoon pool with swim up pool bar. The kids will love the waterslide and bike hire. If everyone is tired at the end of a busy day, simply cook an easy dinner at the barbecue area. 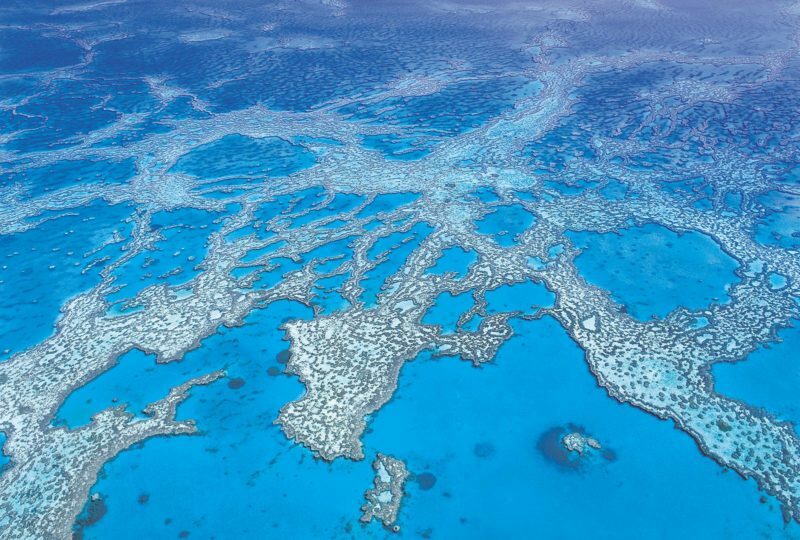 Let the Tour Desk help you make the most of the beautiful surrounding region, by assisting with organising bookings to the reef, rainforest and other local attractions. 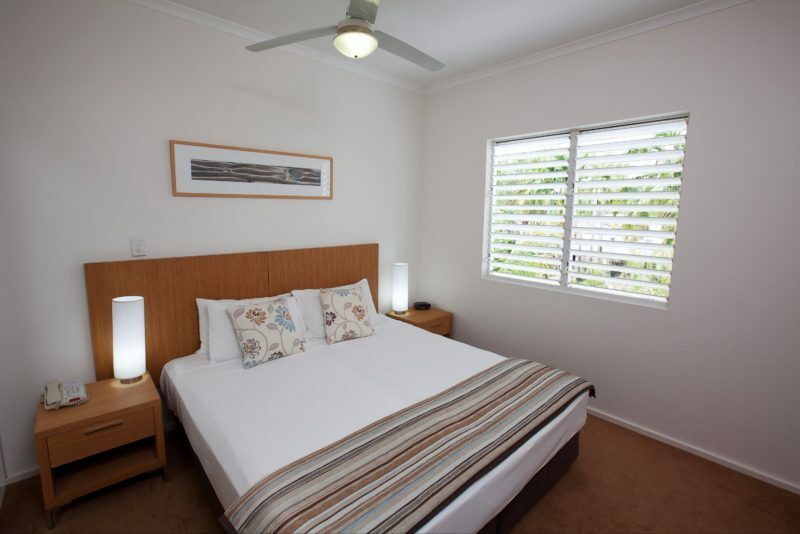 The Hotel Room is perfect for singles or couples, it is fresh and clean featuring an ensuite, the option of one double or two single beds, Foxtel television, air-conditioning and tea and coffee facilities. Their One Bedroom Studio is perfect for guests after a little more space with a dedicated lounge and dining area. Boasting the convenience of kitchenette facilities as well as a relaxing spa bath and furnished balcony, this room type creates that extra level of comfort. 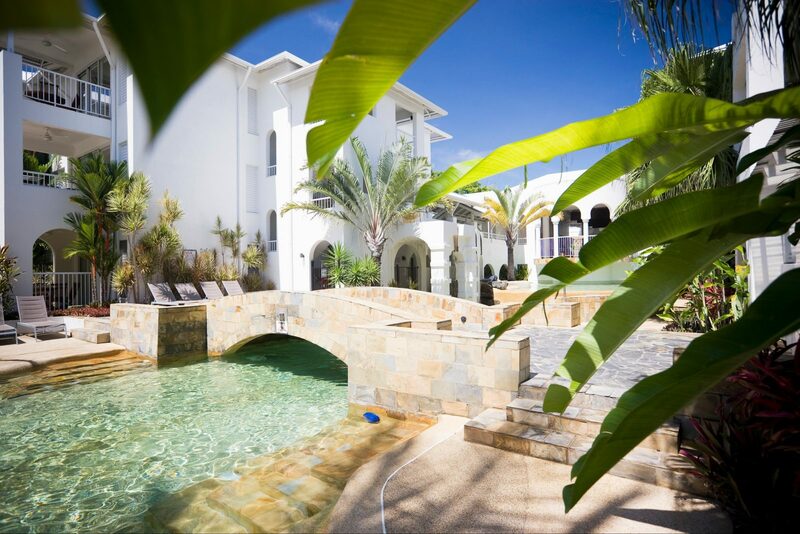 Available with a queen bed and boasts a garden view or lagoon pool view on request (additional fees apply). Two Bedroom Apartment features a two person spa bath, private balcony and kitchenette facilities, it also offers all the conveniences for a relaxing and enjoyable holiday. 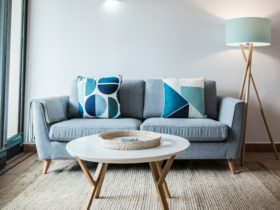 This room type can be booked as a standard Two Bedroom Apartment or as a Two Bedroom Dual Key which consists of an interconnecting Hotel Room and One Bedroom Studio. These room types are available with a queen or king (zip) bed and are available with a garden view or lagoon pool view by request (additional fees apply). 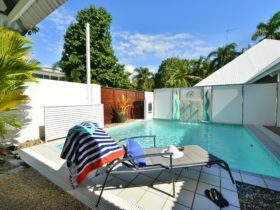 The One Bedroom Garden View Apartment offers air-conditioning, kitchenette, living area, hairdryer, balcony, Foxtel and internet access (charges apply).